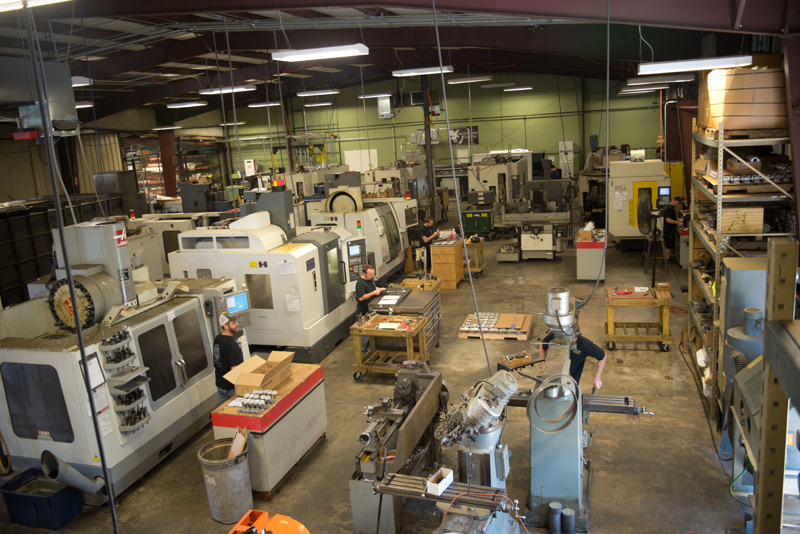 At McGregor Manufacturing our commitment is to consistently supply YOU, our valued customers, with the highest quality machined parts. We strive to continually improve on our manufacturing methods so as to increase our profitability and pass that value to our customer. McGregor Manufacturing has completed ISO9001:2008 certification as of March 2010. Quality control is our highest priority. We have a comprehensive Quality Management System in place. 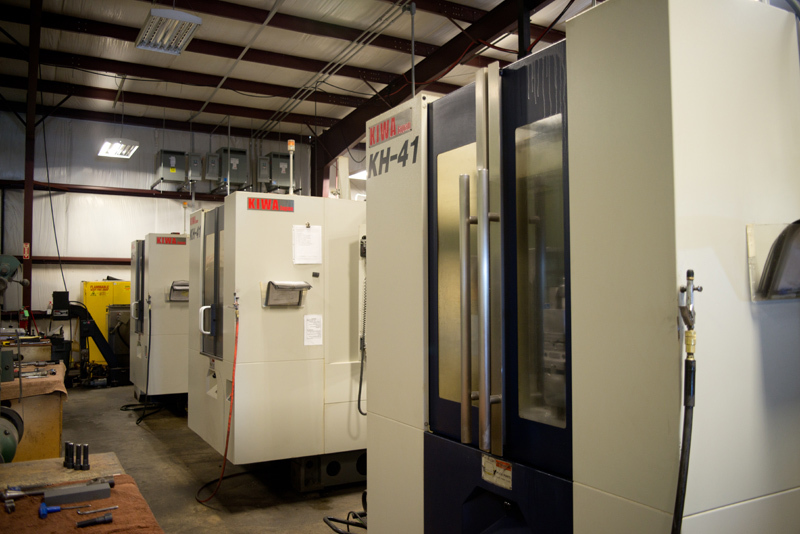 If you ever have a chance to visit our facilities you will find find a highly productive machine shop. One thing you won’t find however, is an excess of administrative personnel. McGregor Manufacturing truly is a lean manufacturing environment. 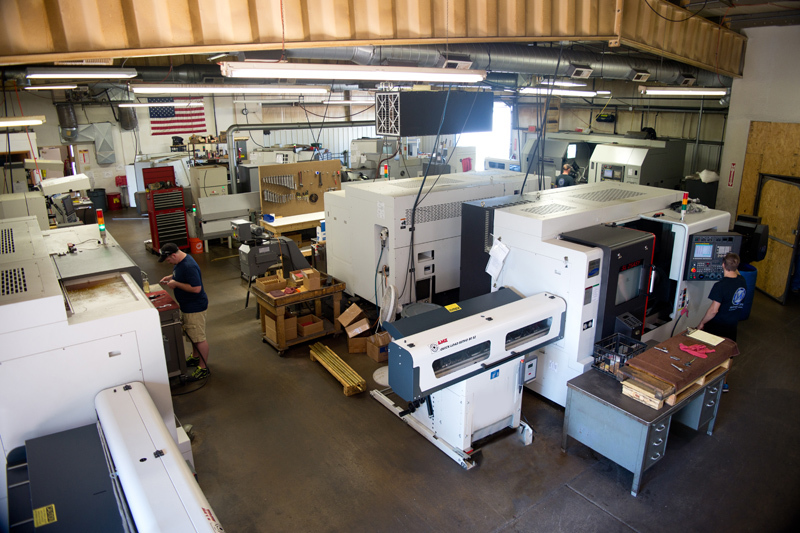 The money we save by having a team composed primarily of machinists and other value added employees allows us to produce quality parts at a competitive price. McGregor Manufacturing was founded in 1989 by Michael M. Brown. Michael is a hands on owner. He works closely with each customer and his team of expert machinists from product conception to completion. Quality control and customer satisfaction is a top priority. 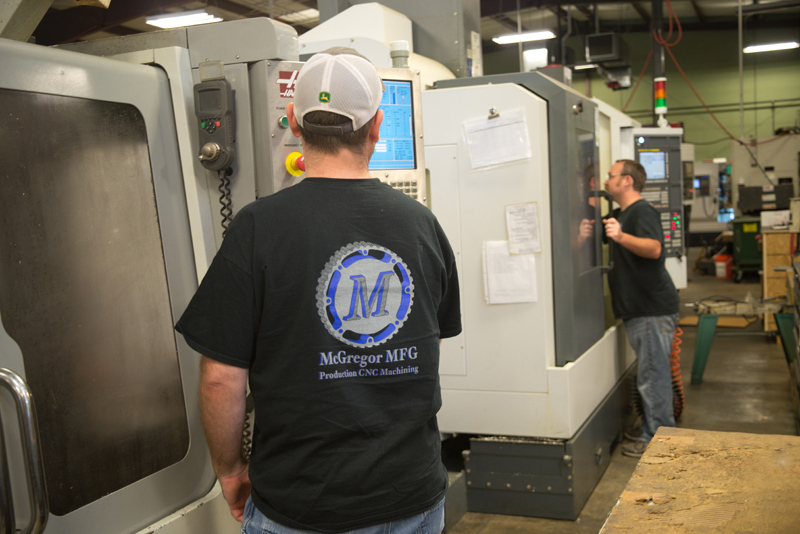 McGregor Manufacturing Quality Policy: McGregor MFG provides high quality machined parts and products through a commitment to consistency, reliability, continual improvement and customer satisfaction. 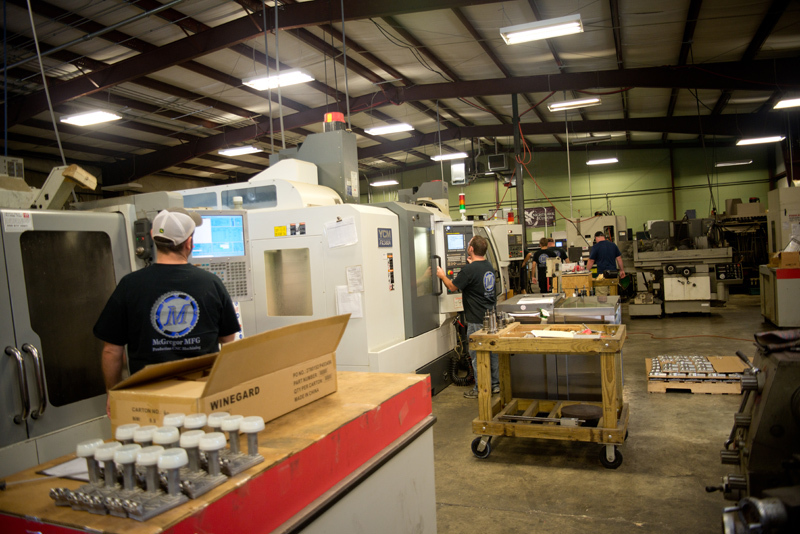 McGregor Manufacturing specializes in precision CNC production machining, using current machining and design software as well as the latest CNC equipment. 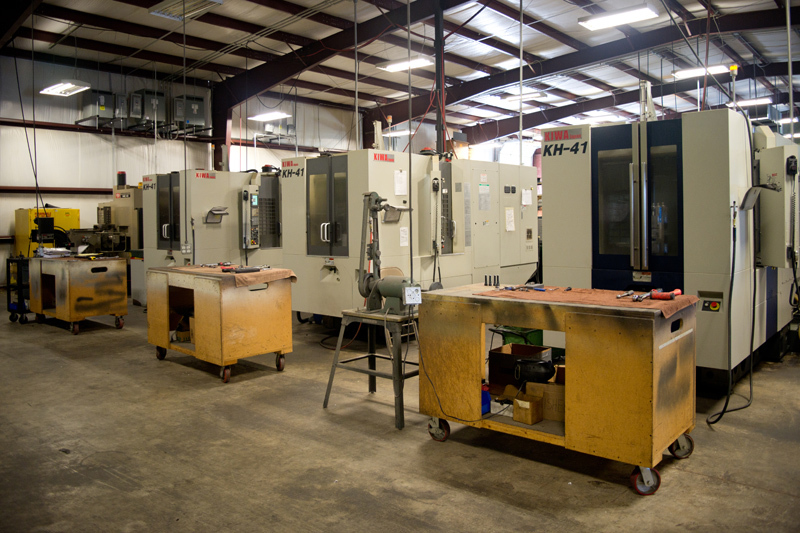 McGregor Manufacturing offers products with close tolerances to within .0001. 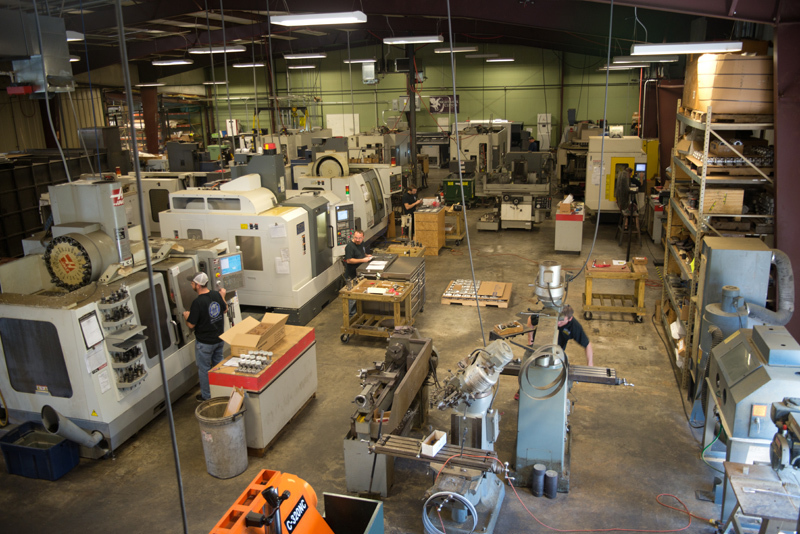 McGregor Manufacturing offers a variety of services: CNC turning; CNC milling; CNC horizontal; vertical 5-axis milling and CNC grinding services. Our material capabilities include: aluminum, brass, copper, plastic, stainless, steel, etc. Industries served: industrial printing, telecommunications, aircraft, medical, automotive and OEM manufacturing.